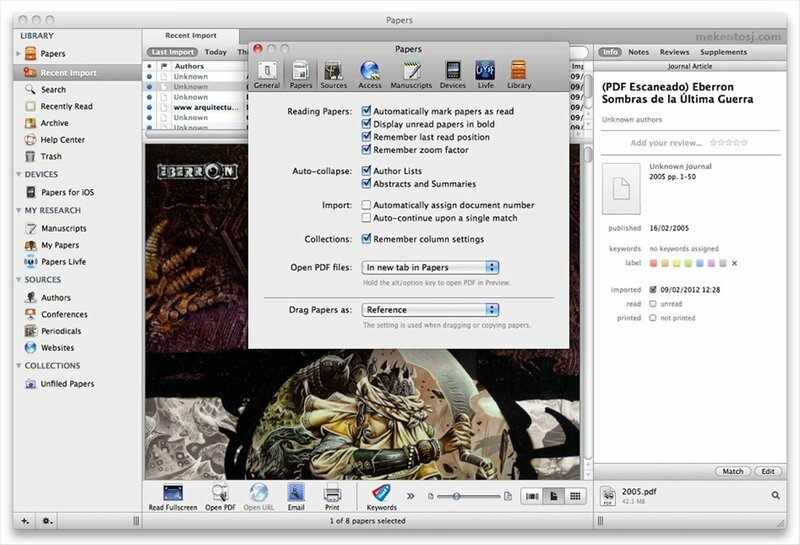 Papers is a document storage manager for Mac in which you'll be able to save all kinds of text files creating a customized library. 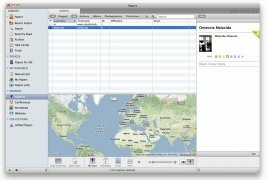 You'll have your files gathered in the application within a minimalistic interface that is a clear copy of the one used for iTunes and you will be able to enjoy its complete organization and management system. 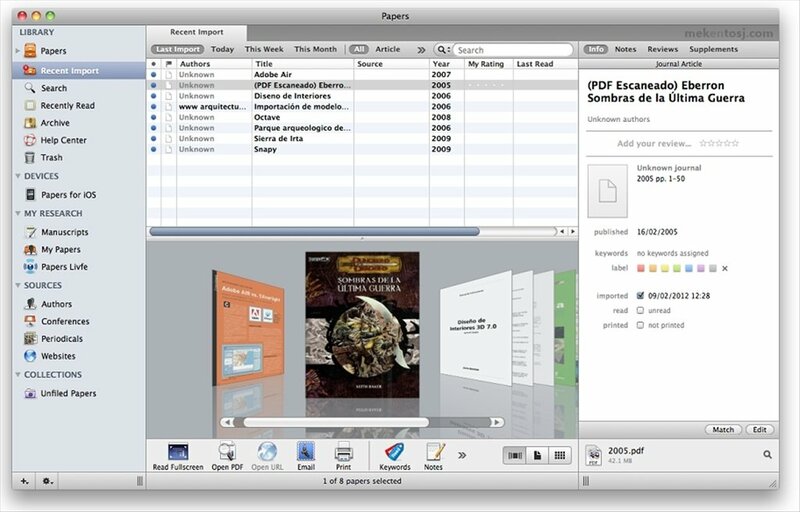 Search and find articles in the network databases and download them with Papers, all directly from the program. 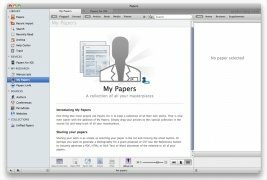 Write notes, quotes and references for the documents. Read the files on fullscreen. Synchronize the library with your iPhone or iPad and share documents on social networks. 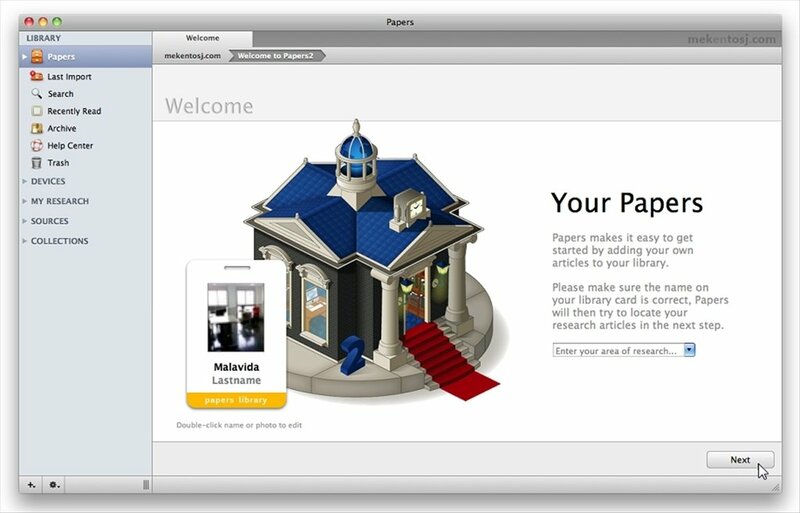 As with iTunes, Papers is a complete documents manager with capacity to hold thousands of files, transforming your Mac into a customized library. 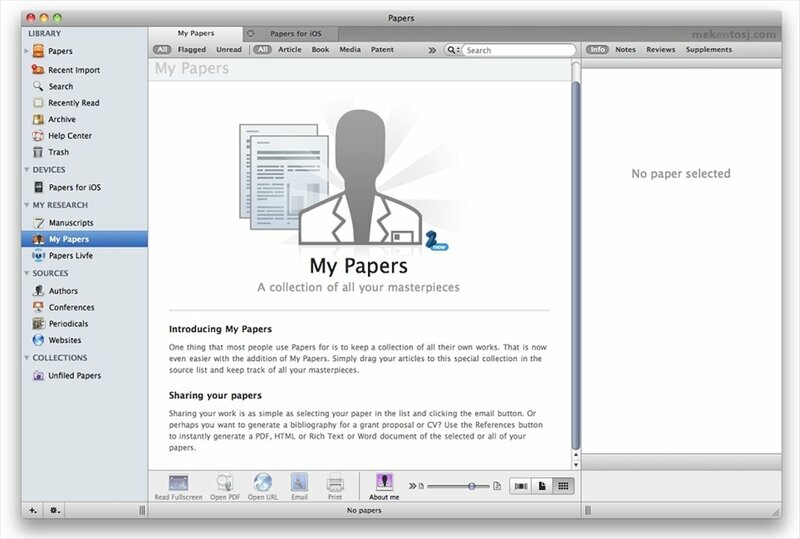 Download Papers and organize your documents efficiently.